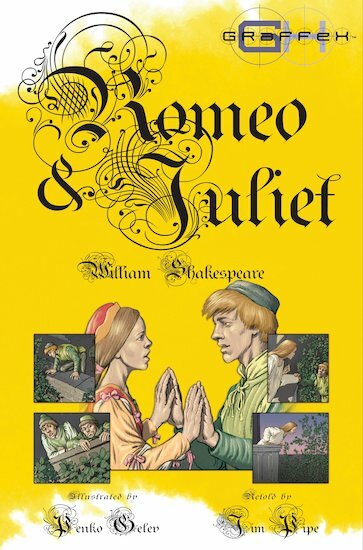 Two star-crossed lovers whose dreams turns to disaster… This graphic storybook recreates the magic and passion of the world’s most famous love story in vibrant art. Follow the dynamic illustrations and speech-bubbles to witness the fateful events that unfold in the fair city of Verona, as rival families make war and undying love is pledged. GN860L Lexiles are the global standard in reading assessment. They are unique as they are able to measure a child and a book on the same scale – ensuring the right book gets to the right child at the right time.